For products like gutters that are made to handle rainwater, resistance to rust is vital. 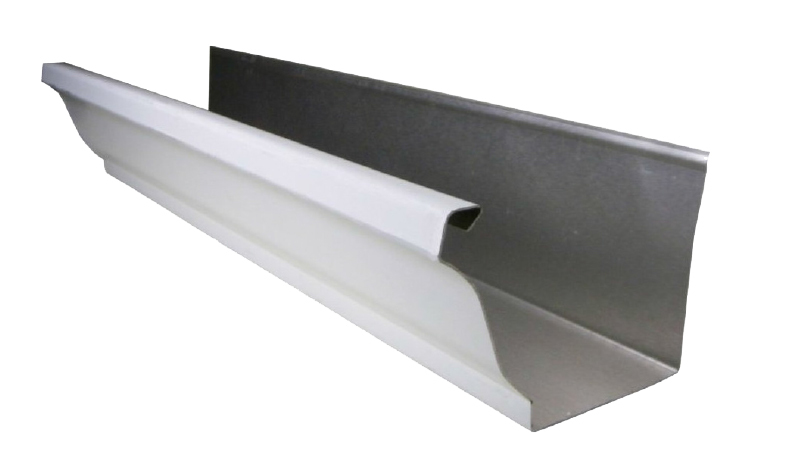 Aluminum gutters light weight means that gutter installers can easily lift and handle even lengthy sections of gutter, speeding installation and reducing cost. 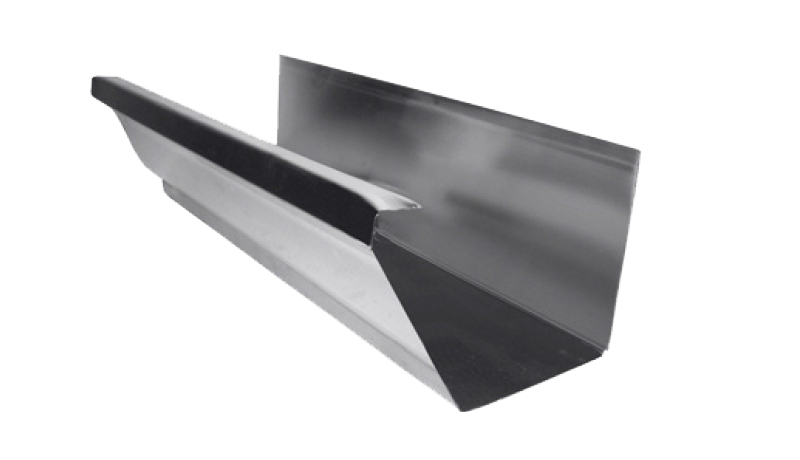 And since aluminum is easy to cut, installers can quickly miter those pesky corners. As you’ll learn, aluminum gutters can be made-to-size, on your property, with a machine that rolls out seamless lengths of trough. And when we talk about coatings, you’ll learn later why aluminum is available in so many colors. The roll-forming machines, used by installers to turn out seamless lengths of gutter, are made to take two standard thicknesses. For that reason, professionally installed aluminum gutters are either .027 or .032 inches thick. The thicker the better, the more likely your gutters are to hold up in difficult weather conditions. By contrast, off-the-shelf aluminum gutters sold to homeowners at chain stores are typically .019 inches thick. With gutters, you tend to get what you pay for. Yet aluminum has its drawbacks, as well. The metal is much weaker than steel, copper, or zinc. Lean a ladder against aluminum gutters and the gutters will deform. Same thing, if the gutter is struck by a falling tree branch. Hot and cold weather causes the metal to expand and contract, which can cause more gutters to deform and even pull the gutter away your roof’s fascia board and allowing water to leak in between. And as those smooth troughs become crinkled, the dents and dings attract dirt and debris that must be periodically cleaned out. Seamless 28-guage steel remains a viable choice for the retrofit gutter market because of its high strength and low rates of thermal movement. Steel gutters have twice the tensile strength of aluminum, with approximately half the amount of thermal expansion and contraction. That can be important if you live in climates that experience heavy winds, hail, or snow. The cost of a steel gutter system will be higher than aluminum and the choice of colors will be more limited. Because steel gutters are typically about twice the weight of aluminum gutters, installers cannot lift and handle steel as easily. Joints must be soldered. All of this adds to labor costs. But if you want a stronger alternative to aluminum, steel gutter systems can still be competitive with aluminum gutters and gutter systems. They will hold up over time, and if you’re willing to sacrifice some aesthetic choice, they are a good choice for gutters. With more than 30 colors available, it’s easy to match any home color combination. We’ve never discontinued a seamless steel gutter color, so you won’t have to worry about find a match if anything ever happens to your home that would require replacement or additional gutter runs. With our patented rain gutter guards, debris, twigs, and leaves are kept out of your gutters. 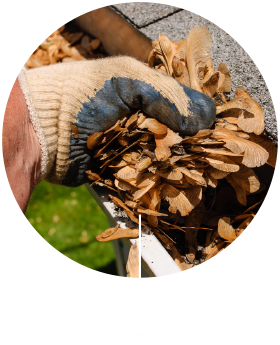 These substances are stopped at the narrow slit of the gutter system and continue on their natural path to the ground, rather than stopping and clogging up your gutters. 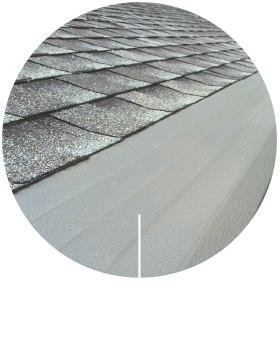 With Gutter Helmet®, you get the best gutter guard systems with a guarantee that you won’t be cleaning your gutters after the next storm. Constructed of durable but lightweight aluminum, Gutter Helmet® is protected by a patented PermaLife finish, which is available in a number of gutter colors to blend with your home. The textured PermaLife finish is not only beautiful, but it provides ultimate protection from acid rain and other harmful elements in the air. This assures you that Gutter Helmet’s original beauty will never become discolored or stained over the years. Each of our systems is installed by an experienced professional and trained craftsman. 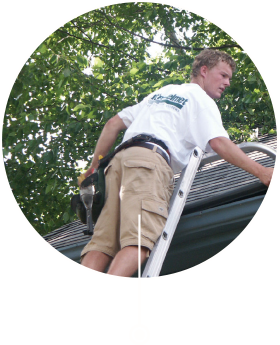 When your new Gutter Helmet system is installed, our technicians will clean out your existing gutters. Our technicians are mindful of your home and take the utmost care to leave your property better than it was before they came. The methods used by Gutter Helmet® installers have been approved by most major roofing manufacturers, ensuring that your roof warranty is intact after our system is installed.